The Amerock BP29202ORB Conrad 3-3/4in(96mm) CTC Pull is finished in Oil-Rubbed Bronze. Inspired by recent resurgence of contemporary and transitional kitchen design, the Conrad collection's clean flowing lines merge with strong edges to create the perfect look for your kitchen or bath. The Oil-Rubbed Bronze finish is a rich, dark brown old world finish with striking light and dark accents. 3-3/4 Pinstripe Pull, 1 per pkg This Liberty 3-3/4 in. 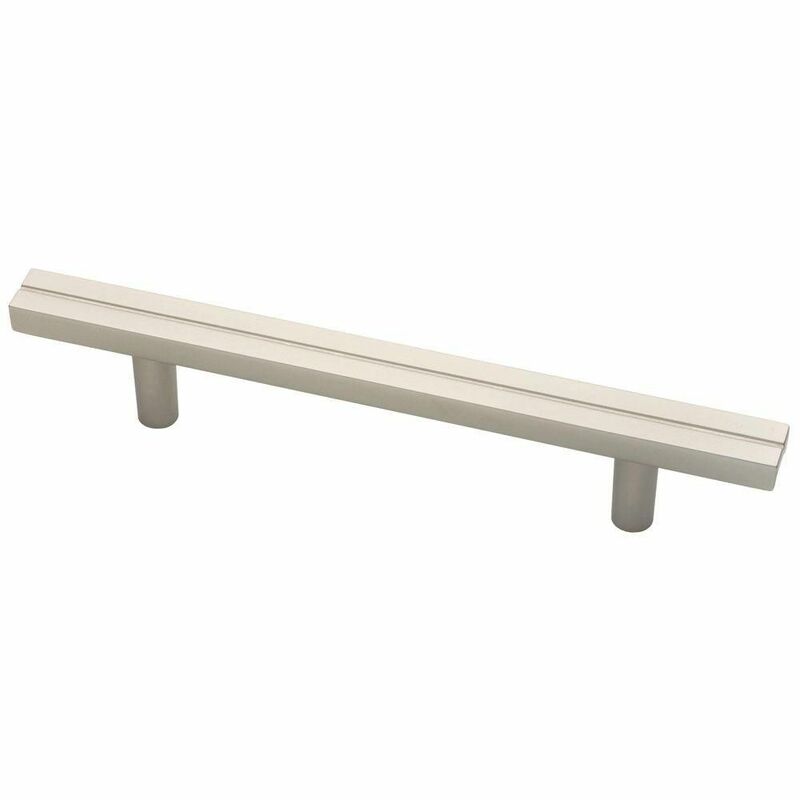 Matte Nickel Pinstripe Pull can be used to enhance the design of your kitchen or bathroom cabinetry furniture. A matte nickel finish allows this hardware to accent a range of design schemes. Mounting hardware included for easy installation. 3-3/4 Pinstripe Pull, 1 per pkg is rated 4.7 out of 5 by 3. Rated 4 out of 5 by ToolbeltDiva from They look great and feel very sturdy. Installation was... They look great and feel very sturdy. Installation was a breeze as well. Rated 5 out of 5 by Vermont from Great buy A modern, but not stark look - fits in our country kitchen with modern sink and faucet, When in the store I though th cnter had a faint color (reddish) but that is not the case (could have been the lighting). Overall very satisfied.